ShowingFilter 1-20 of 2021 listings. Get a taste of the Outback on this 3-day trip to the Red Centre of Australia, including visits to Kings Canyon, the Garden of Eden, Kata Tjuta, and Uluru from Yulara. Two nights of camping, National Park fees, activities and meals included per itinerary. 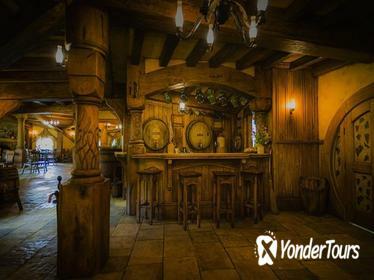 Discover the otherworldly beauty of New Zealand's North Island, from Rotorua's geothermal pools and the Waitomo Glowworm Caves to the Shire at the Hobbiton Movie Set. On this 2-day coach tour from Auckland, you'll experience ancient Maori traditions with a 'hangi' dinner, the filmmaking history of 'The Lord of the Rings,' a duck tour and a visit to the Agrodome. 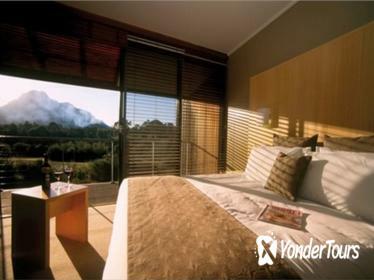 Enjoy standard (3 star hotel) or superior (4 star hotel) overnight accommodation in Rotorua. Take in the highlights of the Northland on this 3-day tour from Auckland, including accommodation. 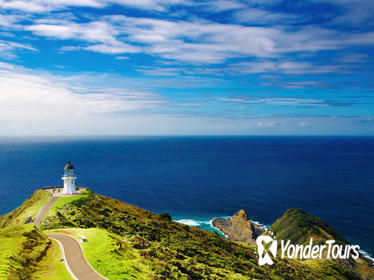 Explore the Bay of Islands, including the Waitangi Treaty Grounds and the seafront towns of Paihia and Russell; enjoy a dolphin-watching cruise around the bay; and journey to the northernmost point of New Zealand on a day tour to Cape Reinga and Ninety Mile Beach. 3- or 4-star accommodation is included. Spend a memorable three days exploring Australia's Red Centre and experience the magic of the outback as you camp out beneath the stars. Marvel over the mesmerising landscapes of Uluru, Kata-Tjuta and Kings Canyon as you hike through the Valley of the Winds and the Lost City, and watch the sunset over sacred Uluru. That's not all: sample typical Aussie bush tucker, ride a camel through the desert and learn about the region's rich Aboriginal heritage at the Aboriginal Cultural Centre. 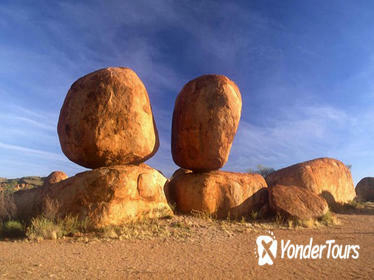 Journey from the capital of the Northern Territory to the otherworldly landscapes of the Red Centre on this 2-day road trip from Darwin to Alice Springs. Snap a photo by the striking Devil's Marbles, relax with a dip in the Mataranka Thermal Springs and cool off with a swim beneath Edith Falls. This scenic tour includes hotel pick-up, overnight accommodation and shared transport. Sample the best of Phillip Island's nature and cuisine with a full-day tour of this favorite getaway destination just a short drive from Melbourne. Learn about Victoria's pioneers at a heritage farm on Churchill Island, soak up coastal scenery on the George Bass trail and Nobbies lookout point, and finish the day with premium seats for the famous nightly Penguin Parade. Plus, enjoy the island's bounty with included lunch and wine tasting. 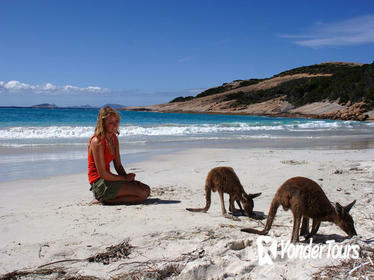 Australia is an enormous country, so join a tour to see as much as you can in a short time. On this ten-day, all-inclusive camping tour - starting in Adelaide in the south and crossing the outback to Perth in the west - you'll experience sweeping desert and ancient forest, hike through national parks and learn about Aboriginal culture, plus much more. All activities are included. Lying to the south east of Auckland, Rotorua is a land of geothermal pools, steaming geysers, and ancient Maori history. 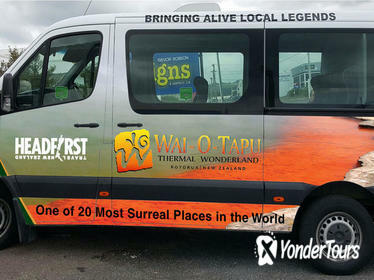 With this tour, explore Rotorua and take in the top attractions with ease. Hop into your vehicle and spin to sites of interest such as Government Gardens, Kuirau Park, Ohinemutu, the Polynesian Spa, and the Redwoods Forest. Stop along the way to capture the sites on camera, and listen as your guide sheds light on the region's geothermal activities and Maori traditions. Cover great distances while skipping long stretches of travel on this 3-day fixed-wing air tour of the remote Cape York Peninsula from Cairns. Take in aerial views of the Great Barrier Reef and Torres Straits on flights that take you to Cooktown, Thursday Island, Horn Island, and the remote outposts of Weipa and Musgrave Station. 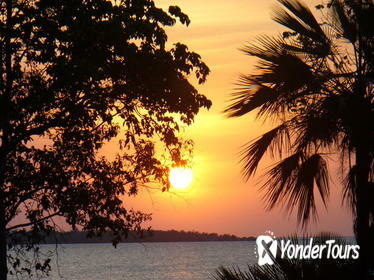 Your trip includes land and sea excursions, 2-nights' accommodation, and meals. 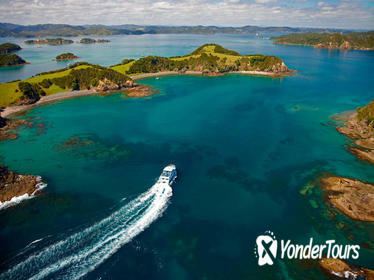 Explore the Bay of Islands' rocky islets and pristine beaches on a 3-day tour from Auckland. This comprehensive tour through the Northland includes: a visit to the Waitangi Treaty Grounds to discover Maori history; a drive along Ninety Mile Beach to Cape Reinga, the northernmost point of New Zealand; a boat cruise through the Cape Brett Hole in the Rock; and a sightseeing tour of historic Russell. Enjoy two nights' overnight accommodation before returning by coach to Auckland. The Great Ocean Road is one of Australia's most famous road trips but a day tour only takes in the most popular viewpoints. 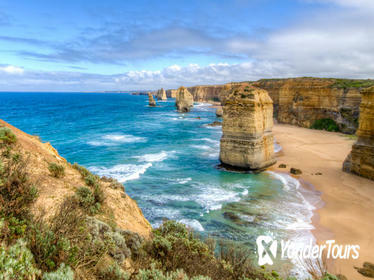 On this multi-day tour from Melbourne, admire natural wonders such as the Twelve Apostles, Apollo Bay, and Loch Ard Gorge; venture off the beaten track in the Grampians National Park; and discover little known beaches, bays, and coastal walks. 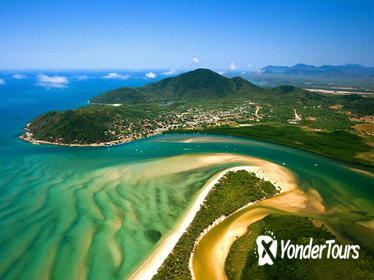 Save money by combining the Cairns region's three top activities in one 3-day tour. 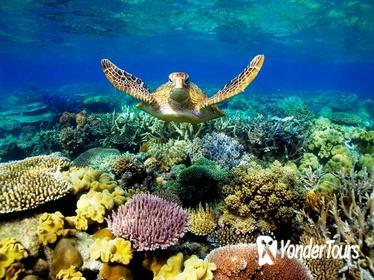 Begin by exploring the underwater world of the UNESCO-listed Great Barrier Reef with an included introductory dive. On the second day, head for Daintree Rainforest (also UNESCO-listed) to explore the world's oldest continuously surviving rainforest. Your final day is spent gliding above the rainforest canopy on the Skyrail Rainforest Cableway, then exploring quaint village of Kuranda before returning on the historical Kuranda Scenic Rail. 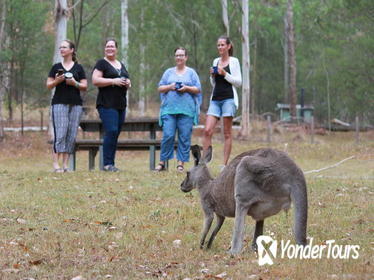 Enjoy a 3-day package to World Heritage-listed Fraser Island with beachside accommodation at Kingfisher Bay resort and a combination of guided tours and free time for beach walks and swimming. Your full-day 4WD sightseeing tour goes inland to Central Station, Wanggoolba Creek, Pile Valley and Lake McKenzie, then motors down Seventy-Five Mile Beach to Eli Creek, the Maheno shipwreck and Pinnacles. Includes two nights of accommodation, three meals, a full-day guided tour and ferry tickets, leaving you free to enjoy the island. Savor gourmet cuisine and sample fine Australian wines on this luxury 2-day tour of Western Victoria from Melbourne. Experience the VIP life as you journey to the heart of the Grampians National Park in your private vehicle and enjoy deluxe overnight accommodation and meals (included). Indulge in gourmet cuisine at top restaurants like the Royal Mail Hotel Dunkeld and Lake House Daylesford, and sample fine wines with tastings at two of the region's most prestigious wineries. 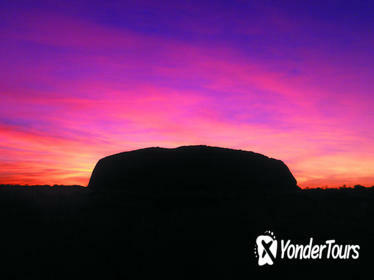 Get a comprehensive overview of Victoria's landscapes with a 3-day tour to the Great Ocean Road and the Grampians. 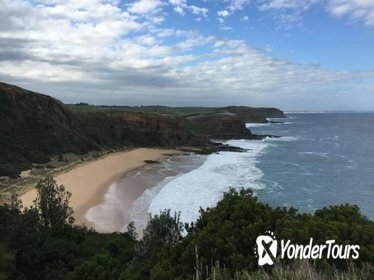 Explore the rugged coastline of the Great Ocean Road and stop at popular sites such as Apollo Bay, Lorne, and the Twelve Apostles. Then head north to The Grampians and enjoy a relaxing experience while learning about the rich Aboriginal culture. This tour is all inclusive of transportation, accommodation, tour guide, entrance fees, and all meals except lunch. 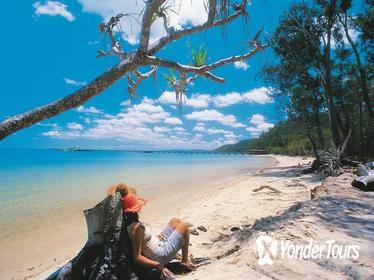 Get back to nature with a 3-day outdoor adventure on Fraser island, including round-trip transport by barge and 4WD. Equipped with maps, backpacks and camping equipment, embark on a self-guided hike along rainforest trails, towering dunes and pristine beaches. 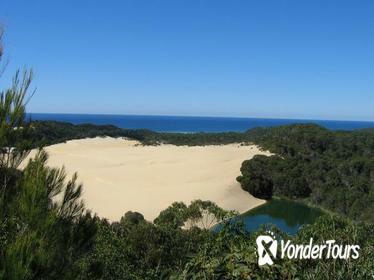 See landmarks like Seventy-Five Mile beach and Hammerstone Sandblow; stop en-route to swim or sunbathe; and camp overnight at Lake Wabby and Lake McKenzie. 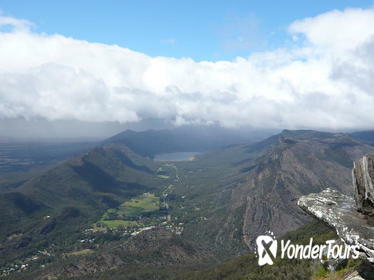 This small-group tour is limited to 6 people and includes 2 days of moderate hiking. The journey from Melbourne to Adelaide is just as spectacular as the final destination, so take your time on this 3-day one-way tour. 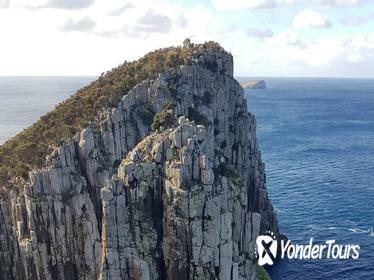 Admire natural wonders such as the Twelve Apostles, Apollo Bay, and Loch Ard Gorge along the Great Ocean Road; venture off the beaten track in the Grampians National Park; and hike to the Pinnacles and McKenzie Falls. Sleep under the stars in comfort on this three-day, action-packed camping adventure in the Blue Mountains. The all-inclusive trip includes the best parts of camping in the wild - sitting around a camp fire, telling stories, being close to nature - but prioritizes your comfort, with stretcher beds, showers, and meals provided. A fun weekend for active travelers, with hiking, abseiling, and a visit to an ancient Aboriginal site.